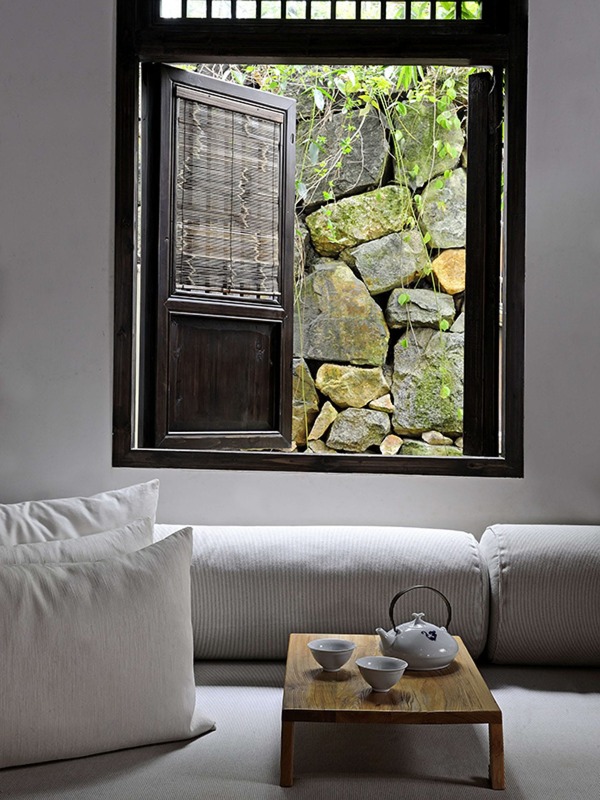 Amanfayun - Hangzhou, China - The Travel Agent, Inc.
AMANFAYUN Just outside Hangzhou, the “City of Heaven,” lies Amanfayun, a truly remarkable enclave where you may just find true nirvana. 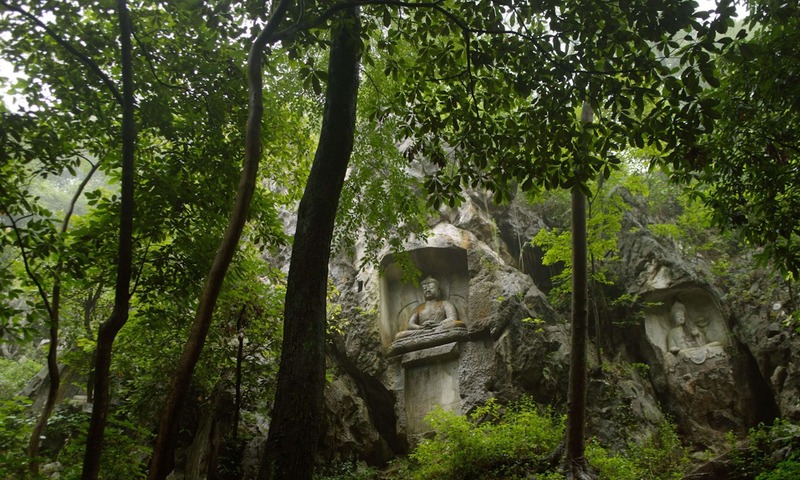 Just outside Hangzhou, the “City of Heaven,” lies Amanfayun, a truly remarkable enclave where you may just find true nirvana. This blissful, secluded retreat was purposefully designed to resemble a serene Chinese village and is within walking distance of five significant Buddhist temples. 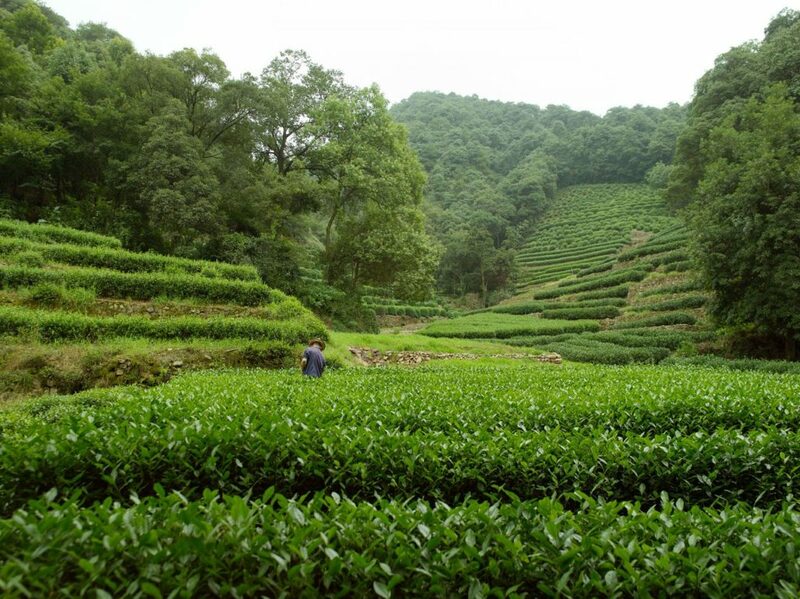 No two of the 42 guestrooms, suites and villas tucked within scenic tea fields and forestland are identical. Many are located in original structures dating back 100 years, yet feature the most modern amenities, including heated floors and Internet. 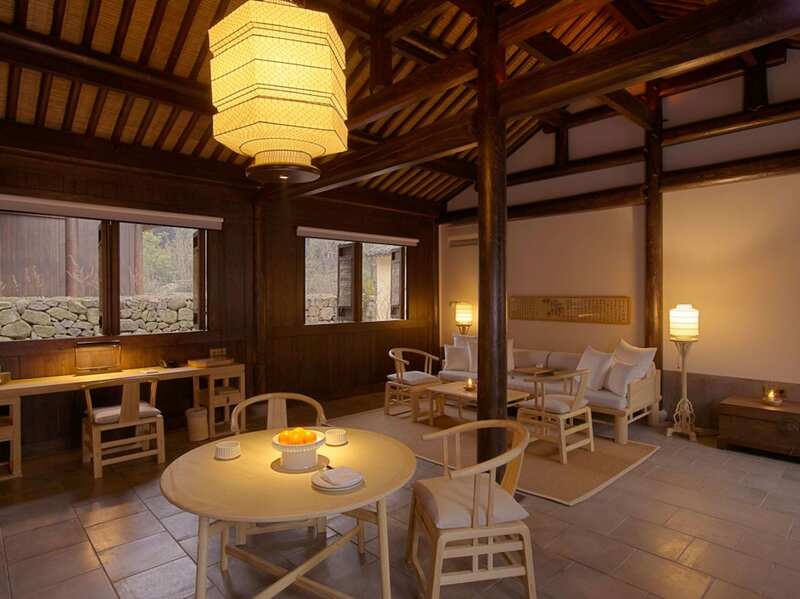 Traditional tea in the Tea House is a must. Surrounded by natural beauty and history in equal measure, Amanfayun is just a 20-minute drive from the centre of Hangzhou, and a 50-minute drive from Hangzhou Airport. The airport is serviced by both domestic and international flights, and there are direct domestic flights to most major cities in China. International flights operate daily between Hangzhou and Hong Kong, Tokyo, Macau, Taipei and Seoul. 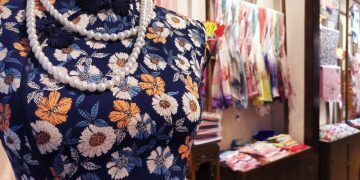 There are also regular flights from Kuala Lumpur and Singapore. Access from Shanghai is either by car (approximately three hours) or by fast train (one hour and 20 minutes). Amanfayun lies hidden in a valley to the west of West Lake. 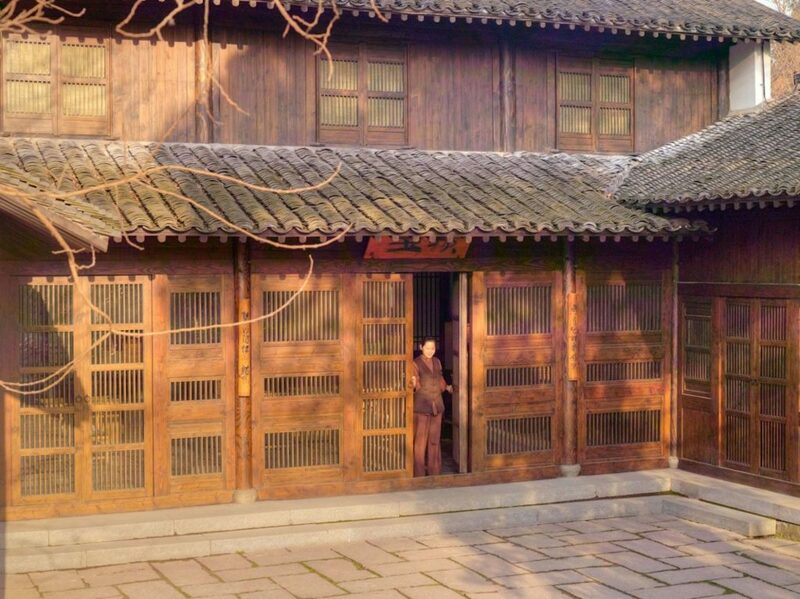 The 20-minute drive from the centre of Hangzhou takes one along densely wooded bamboo and tree-lined avenues, past the botanical gardens and inner waterways of West Lake, to the temples and village of Tianzhu. 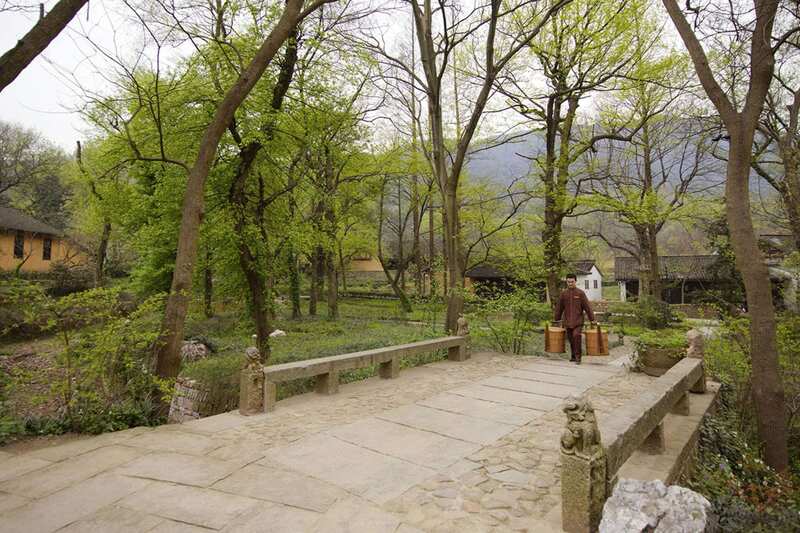 The resort lies just beyond Tianzhu, below North Peak and adjacent to Lingyin and Yongfu Temples. 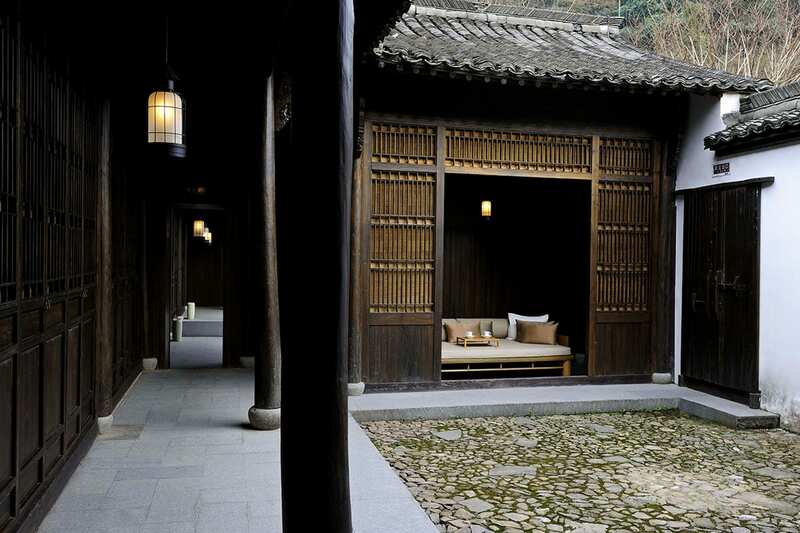 Amanfayun offers 42 rooms, suites and villas located within the property. Due to the unique nature of the structures, no two rooms are identical. Without compromising the integrity of the dwellings, all accommodations enjoy the comforts of radiant underfloor heating, air conditioning and internet connectivity. All furniture is freestanding and includes daybeds, sofas, dining suites and floor and desk lamps. 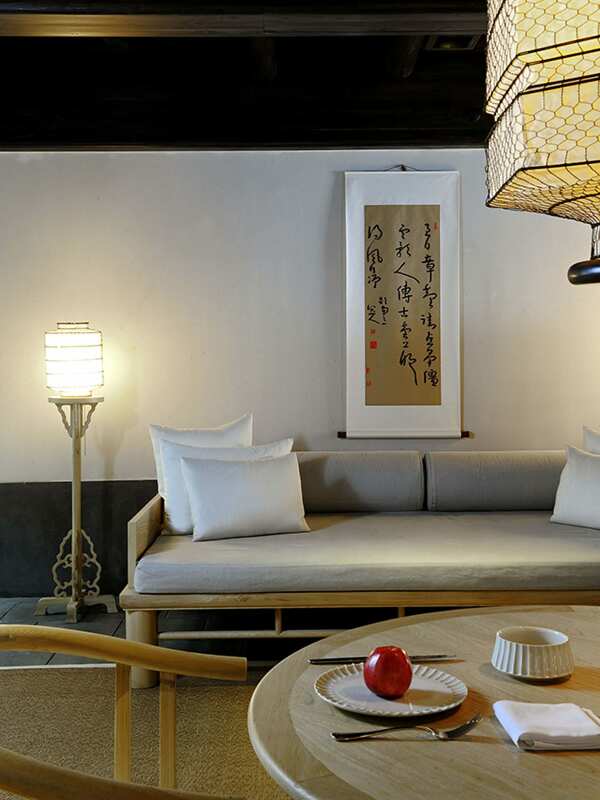 Fine calligraphy art pieces decorate the walls and a sound system with iPod option is available in all rooms. Televisions are available on request. 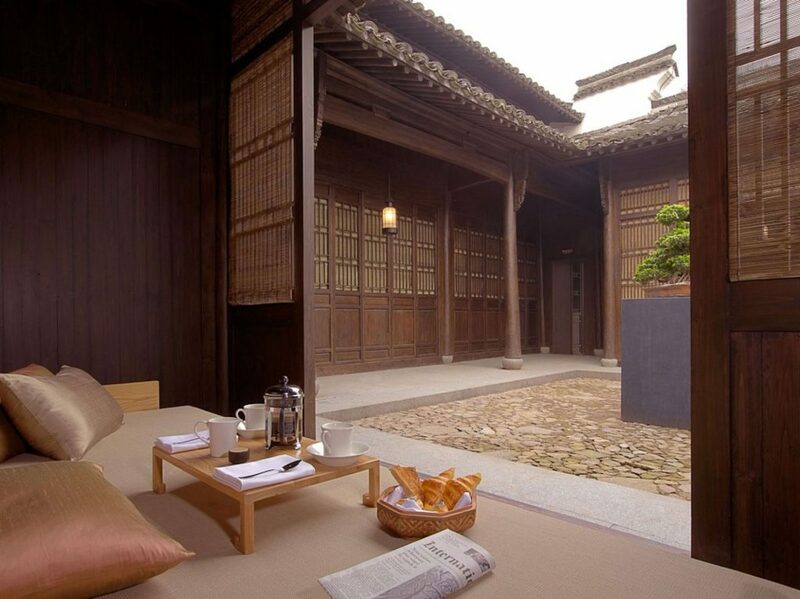 Most accommodation units open to private or semi-private courtyards with informal outdoor dining and lounging areas. 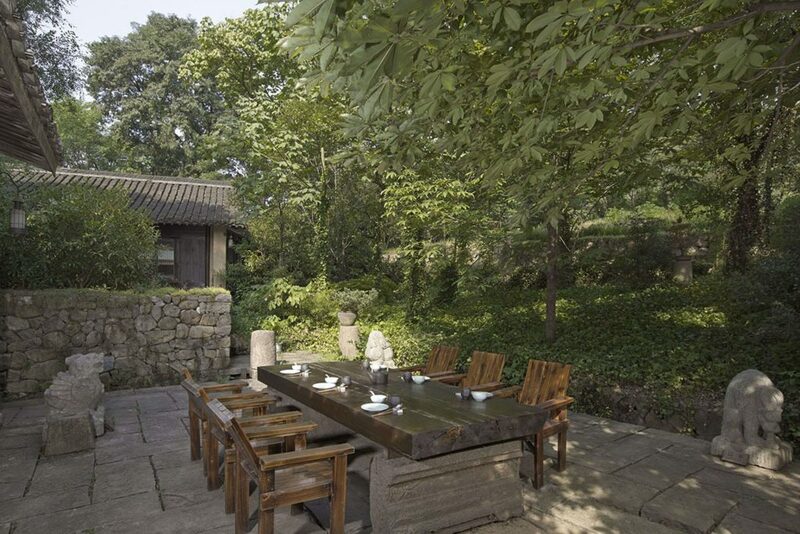 The Restaurant is tucked away behind a grove of evergreens and offers picturesque views. This is the only outlet which serves Western cuisine. The menu features a number of classic international dishes, in essence offering guests comfort food. The Restaurant also houses the Bar which is suitable for informal dining. 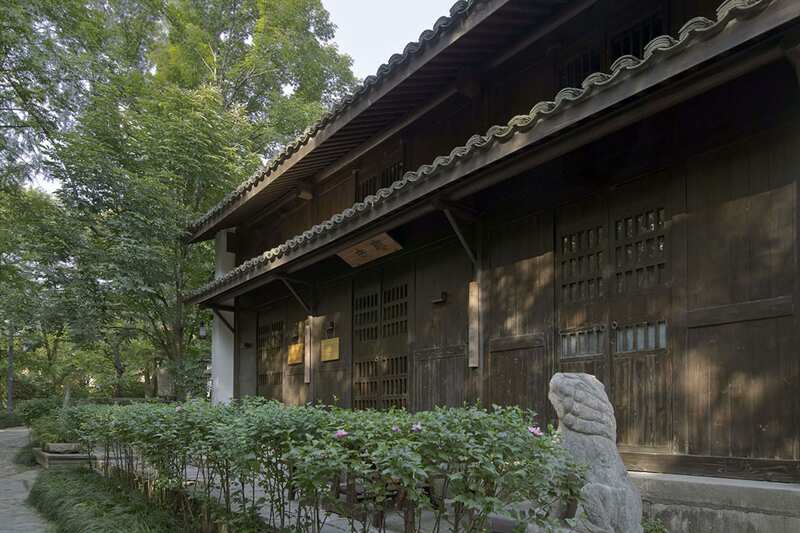 Amanfayun’s Aman Spa consists of five separate buildings surrounded by bamboo groves, tea bushes and Magnolia trees. The Spa offers eight treatment rooms, a reflexology room, a movement studio, a room dedicated to tai chi, yoga and meditation, and a Finishing Salon. 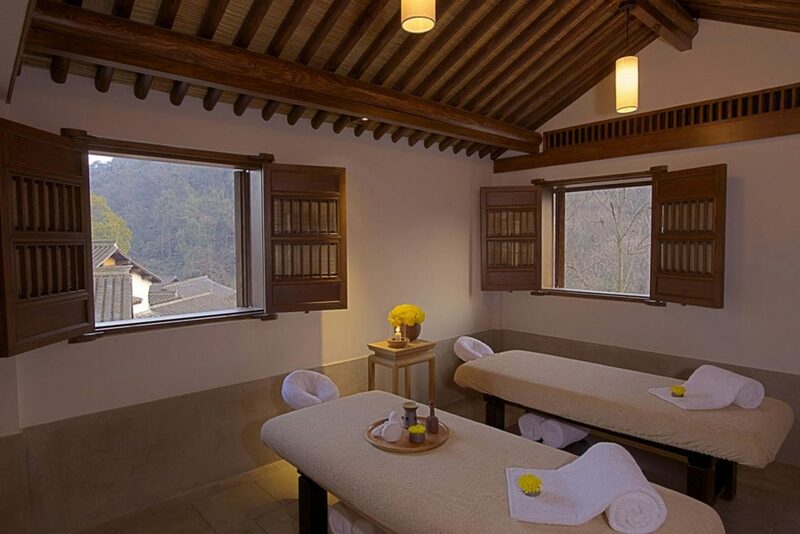 Massage and body treatments draw from traditional Chinese massage and reflexology, as well as from ancient Asian healing therapies. The Finishing Salon provides hair spa treatments, manicures, pedicures and waxing. 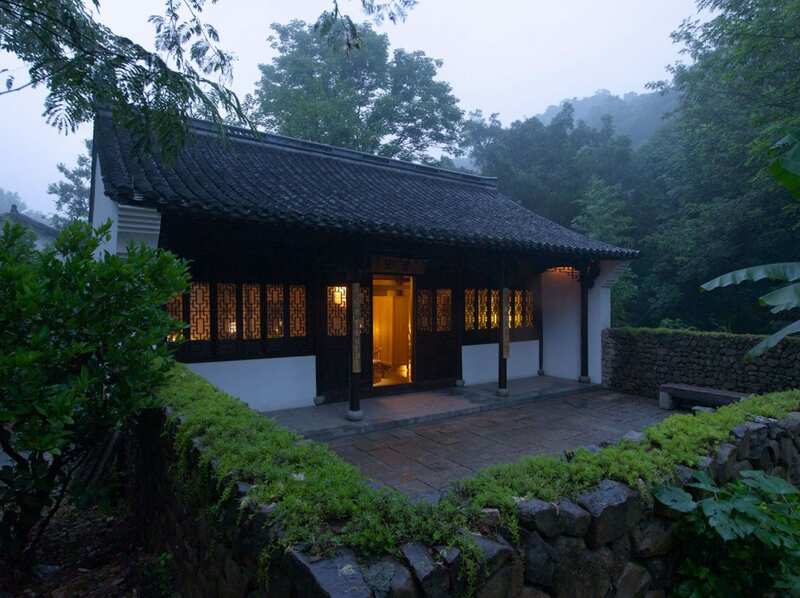 Amanfayun also features a Library with an extensive array of books and documentary DVDs focusing on the history and culture of China, organized informative talks and presentations, a meeting room with two terraces and the latest audio/visual equipment, a boutique, a Tea House, the Village Eatery for more casual dining, and broadband internet access throughout its facilities and accommodations. 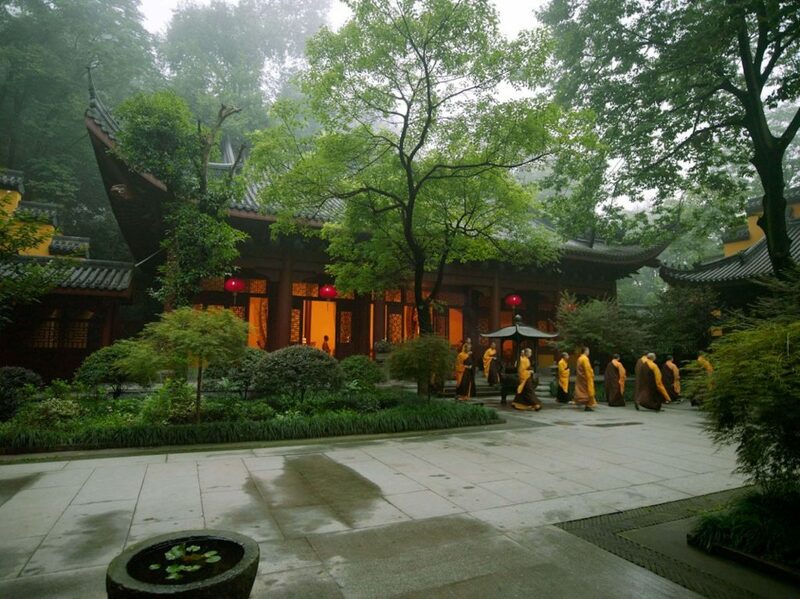 Be sure to visit the Ling Yin temple, one of the most revered in China, and arrive in time for one of the monks’ chanting sessions.